The book is the first in a two-book series, and it's about a girl named Callie, whose life is cut short by a tragic accident. When she dies, instead of the nothingness she expects, she finds an ethereal plane called the Prism, in which you are taught to haunt your loved ones, to help them move on from your death. Melissa Walker is an author I adore! Unbreak My Heart was one of my favorite reads from last year, so of course I am excited to see something new from her. This particular novel sounds incredibly interesting.. ghosts? after life? I sense some creepiness here, but in the best way possible. YES! I can't wait for this one. I love Melissa Walker and OH MY GOODNESS how beautiful is that cover??? Fantastic pick today, G. I can't wait to get my hands on this one. And YAY for a two-book series. Given how much I disliked the last Melissa C. Walker novel I read (Unbreak My Heart) I'm reluctant to read another. That said, the premise is certainly unique and sounds like something I might enjoy. I think I'll hold off and wait to read a couple of reviews before deciding whether or not to add this book to my ever-growing TBR list. This sounds really good! I like that it's a 2 book series (I'm sooo tired of trilogies!). I'll have to add this to my tbr. Thanks for sharing. Whoa, this sounds super crazy but really good! Goodreads says "If I Stay meets Ghost" so I'm way intrigued. I haven't read Unbreak My Heart, but I have heard great things (is there a way to not sing that title?). I'm curious about the plane and this sounds sad and eerie at the same time. Great pick! Nice pick, I've seen this on a couple of WoW's today and it's definitely on my wishlist! I read Small Town Sinners by Melissa Walker and really enjoyed it! 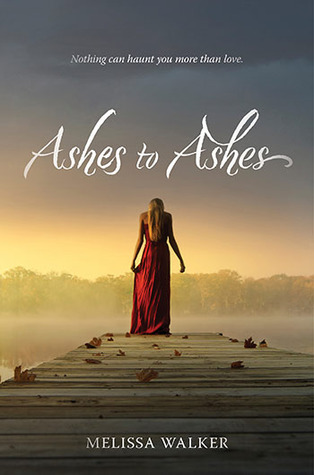 Ashes to Ashes sounds so interesting... and come on. The cover is gorgeous.